It has been another very successful year for the TAG Alliances and our members. We were declared the fastest growing multidisciplinary alliance globally, our members continue to achieve prominence and recognition in their local jurisdictions, and we have attracted outstanding new members across the globe. Additionally, in 2019 we will be celebrating 20 years of the TAG Alliances and we have chosen to use the catchphrase “Rooted in History. Growing our Tomorrow.” as a basis for this year’s Annual Review. Just as trees have deep and expansive roots which support their growth and foundation, we would like to acknowledge the deep historical roots of the TAG Alliances that have produced one of the top multidisciplinary organizations in the world. 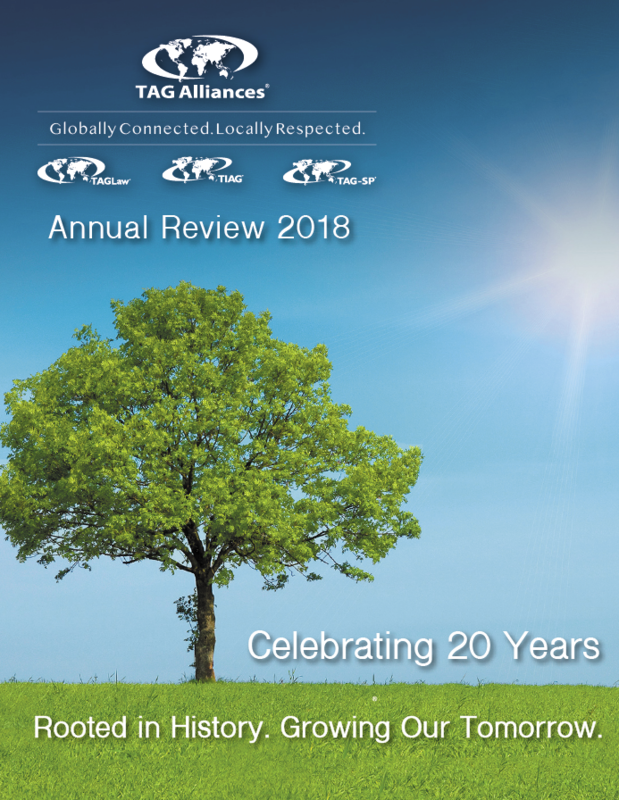 Throughout this year’s Annual Review, we give acknowledgment to our roots and have highlighted the many milestones, recognitions and accomplishments of the TAG Alliances during its life span; demonstrating how the Alliance has grown stronger over time. Our organization, rich in history, stands tall on the world stage and continues to grow steadfastly towards a bright future. View our 2018 Annual Review: "Rooted in History. Growing our Tomorrow."